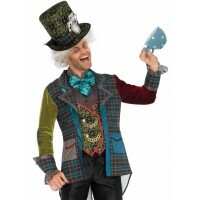 Classic 2 piece Alice in Wonderland costume is a great choice for Halloween. This Classic Alice in Wonderland costume includes the blue knee length dress with tulle skirt overlay and attached apron with ruffle trim and large back bow. The tulle sleeves have a puff with blue band. Comes with the bow headband. Item Number: LA-c85374 | Approximate Size (Inches): 10.00 wide x 2.00 deep x 14.00 high | Approximate Shipping Weight: 2.00 lbs. 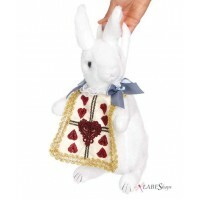 This cute plush purse is the perfect accessory for your costume! Purse measures about 1..